> Be part of the coolest girl squad around! You’ll love hanging out with your new BFF’s! > Shop ’til you drop at the mall, and dress you and your squad up in awesome outfits! Score awesome prizes as you shop with your friends! > From hip hop street style, to sporty chic or sparkly star, you’ve got so many looks to choose from! 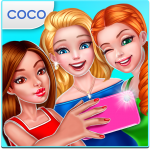 > Get killer makeovers with your BFF’s! 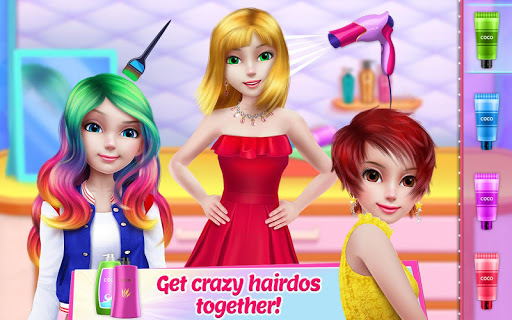 You’ll rock your new makeup and hairstyle! > Spa day with the girls! What could be more fun than a day at the spa with your best friends?! > OMG! You’ve been invited to a cover shoot at Style Star Magazine! You guys will look great on the cover! Add adorably fun stickers to your photos!